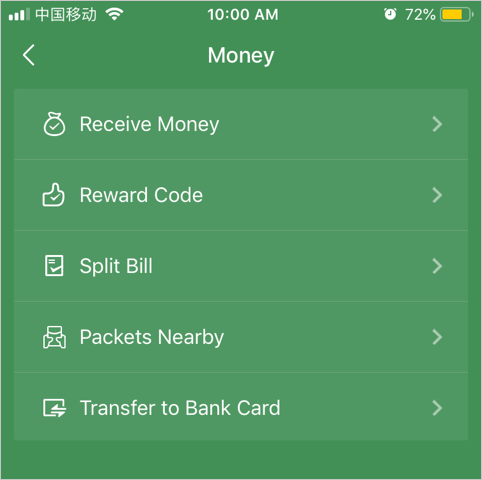 Home » Tech Tips » Apps » How to Send Split Bill Request in WeChat? Daily more than billion people uses WeChat app all over world for sending messages. It is a must have app for the all living in China. For money transfers and chatting with friends. The app has many hidden features and one of the most useful features is a split bill. 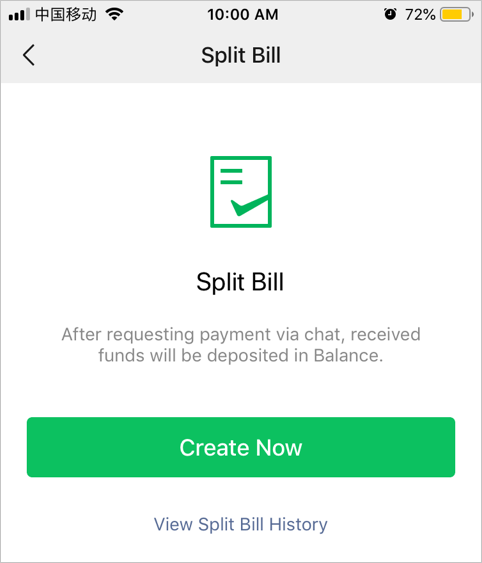 In this article let us explain what is split bill in WeChat and how to use. 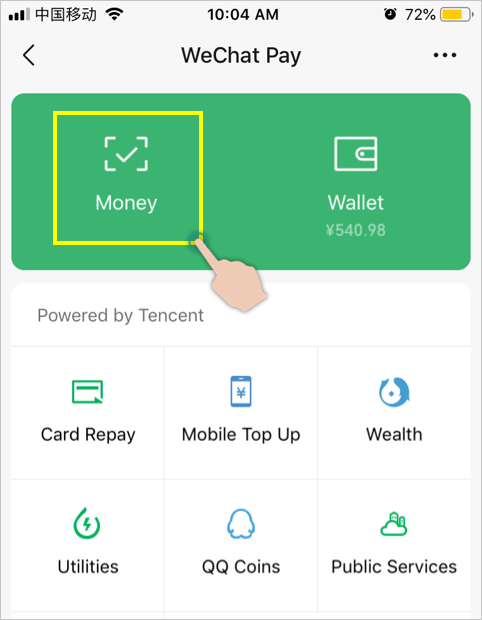 Related: How to do money transfer in WeChat account? As the name indicates, it is a bill split with all the members of a group. There are many situations you go with your friends or colleagues outside. Most of the time, one of us will pay money and split the bill with all the members. However, there are many problems in manually collecting the money back as some will not remember and some intentionally will not pay. Also it will be an awkward situation to contact each of them and request to pay back especially when the group is bigger in size. 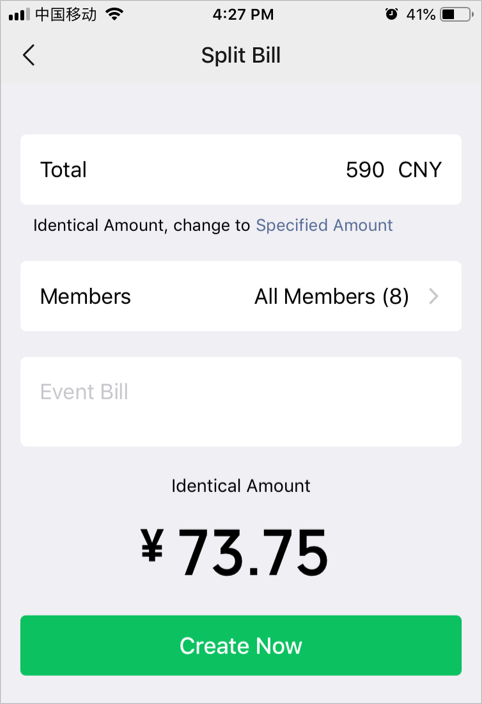 WeChat solves this entire problem by allowing the spender to create a split bill and send a request over the chat group. Before sending the split bill ensure you have all the members in a chat group. Though you can send the request to individual chat contact, it is effective for requesting money from multiple people in single request. Generally, when you arrange a party or outing, ensure to create a chat group and include all the members in the group. This is necessary especially when there are people who are not your chat contact. Tap on the + icon and select “New Chat” option. Select members and tap on “Done” button. Since the members are already part of your chat, they will be instantly added to the group. You can invite others not part of the group by ask them to scan and accept the group QR code. You have an option to exclude members or change the amount during the split bill creation process. Special Offer: Get discounted deal on ExpressVPN. 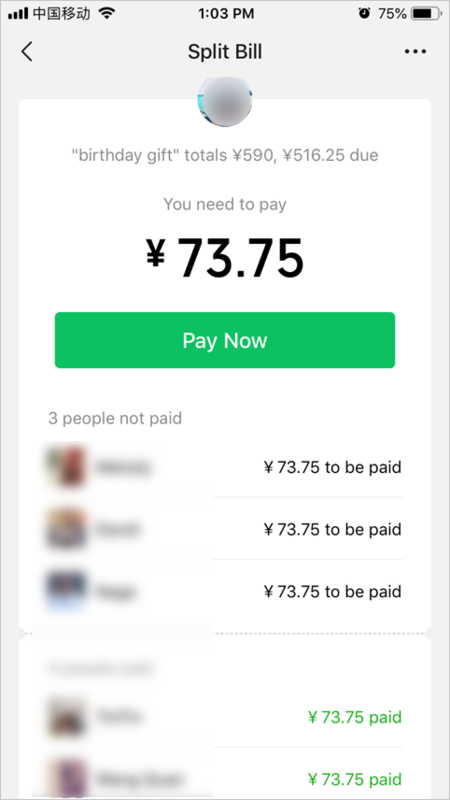 Launch your WeChat app and tap on the “Me” and go to “WeChat Pay” section. If you have enabled passcode or touch ID, enter the passcode or touch to go to payment section. You will see “Money” and “Wallet” sections on top and tap on the “Money” section. Under your vendor payment QR codes, you will see few options including the “Split Bill” option. Related: How to send Red Packet in WeChat? Tap on “Split Bill” and then tap on “Create Now” button. 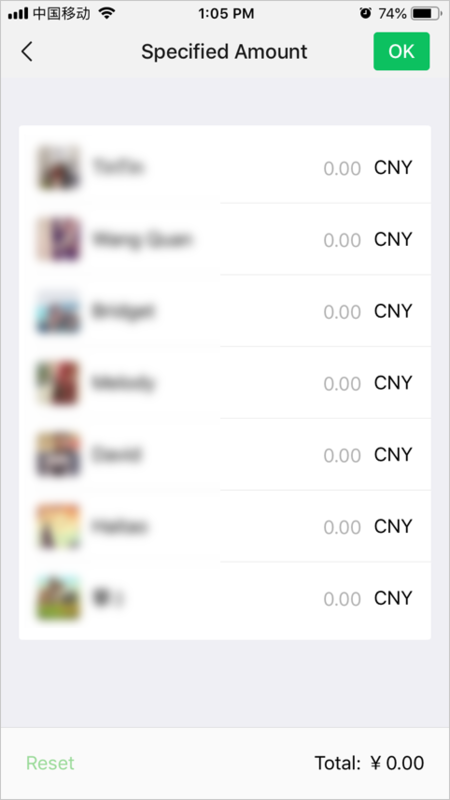 WeChat will show all the chat contacts on the app and you can select the group you want to request money. Related: How to find friends in China using WeChat? On the next screen, enter the total amount spent for the bill. On the description box type the reason for the bill like “birthday party” or “team lunch”. Tap on the members and remove the persons you don’t want to request the bill. 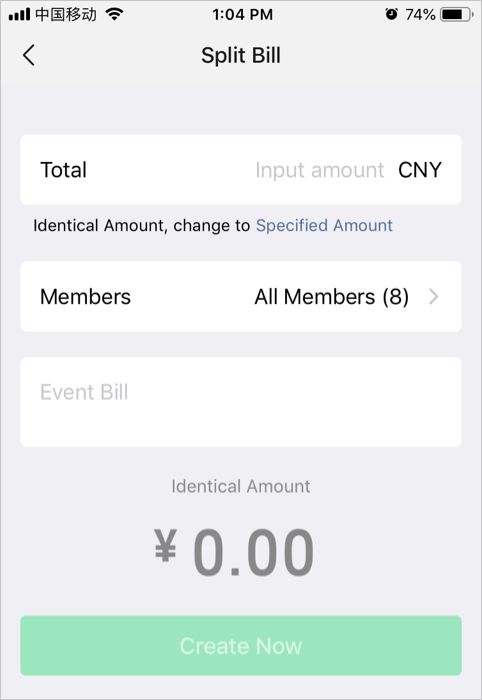 By default WeChat will automatically split the amount identical to all the members. Let us say, you spent 800RMB and there are 8 members in the group. Enter 800 in the total and WeChat will show the identical amount as 100 for all 8 members. However, you can change the individual bill if you want to request different amount to different persons. Under the total amount, tap on the link showing “ Specified Amount”. Type the amount for each person and tap “OK” on the top right corner. You can change back to identical amount option any time. Now that you have decided everything regarding the amount and the people, it’s time to send the split bill request. Tap on “Create Now” button and confirm “Send” in the next confirmation dialog. WeChat will instantly send request to all the members. You and all the group members can check the status of the split bill request and find who has paid and who did not. This generally helps to push the people who are not paying in the group events as the status is shown publicly. The group members will receive a split bill request in the group chat history similar to any other payment request. They can tap and pay the requested amount. Each member can check the status of the split bill showing the payment status of other members. WeChat Split Bill is a wonderful option to collect money from larger group of people. Especially this is useful before or after organizing an event. We hope you can use this hereafter to get your money back without hesitation.